Navigate: StoreFront / Water Garden & Pond Products / Pondless Waterfall & Stream - Kits & Components / Components & Accessories / Cascade Falls Pump Canyons/Vaults by Pondbuilder - DIY Network Approved! Cascade Falls Pump Canyons/Vaults by Pondbuilder - DIY Network Approved! Simplify any construction of vanishing waterfalls, endless waterfalls or endless streams using a pump vault or canyon. Simplify any construction of vanishing waterfalls, endless waterfalls or endless streams using a pump vault or canyon. This will protect your pump from crushing forces of rocks and water with a structurally tough housing. 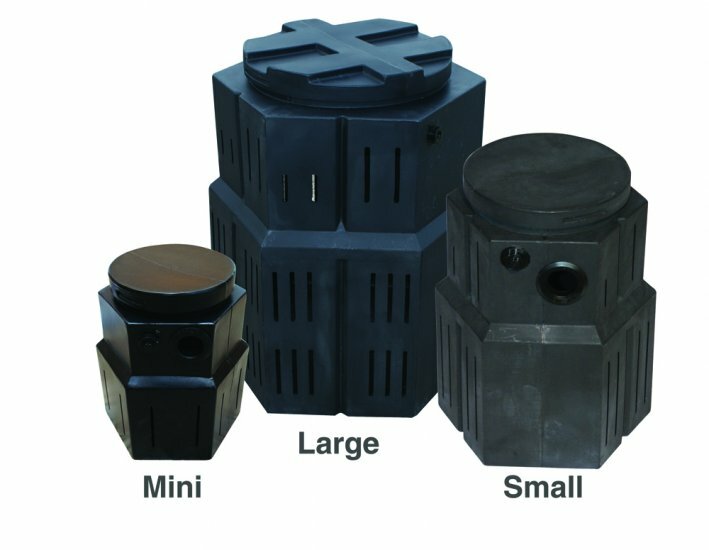 - 14" x 12.2" x 16.5"
- 17" x 15.5" x 21"
Canyon Extension for Small Pump Canyon - 12.5" x 12.5" x 22"